Checkout the schedule to see who teaches what class! Matt Buonaguidi Matt began practicing yoga in 2002. After many years of practicing Bikram Yoga he started to explore, study, and practice a variety of different yoga styles with teachers at the Yoga Center of Carmel. He did a 200 hour teacher training at the Yoga Center of Carmel in 2012 to deepen his personal practice. Additionally, Matt has taught for the California State Parks Junior Lifeguard program & Summer Adventure Program at Point Lobos State Reserve and also works as a massage therapist. Matt practices and teaches an integrative approach to yoga that includes a combination of meditation, pranayama breath work, and asanas. His primary yoga influences include Johanna Holloman (Anusara), Thomas Fortel (Integrative), and Tay Scott. Matt's teaching style is also influenced by the work of Eric Schiffman (Freedom Yoga/Moving into Stillness), Mark Whitwell, Brie Mathers & Katherine Stoddard (Restorative). Matt teaches Gentle Yoga, Yoga Fundamentals, and Restorative Yoga. Alwyne Butler Alwyne studied ballet and dance throughout middle and high school, eventually graduating college with a minor in dance. Before going to college in AZ, Alwyne took a year off and went to Thailand for a 3-month yoga immersion program. She left Ko Phagnan with a 350 hour Chakra yoga certification in 2005. Since then she has avidly studied a variety of yoga styles and integrated body movement into her daily life. This last winter she studied Prana Vinyasa Flow and eared a 200 hour certification in a life changing teacher training spanning 6 months. She currently teaches gentle yoga, prana vinyasa, and vinyasa flow. Alwyne believes yoga encompasses much more than simple exercises and hopes to share the clarity and intuitive intelligence that can be rediscovered in everyone through breath, intention, and community. Cristina Calhoon Cristina has been practicing yoga for 15 years and teaching yoga for 9 years. Cristina has explored various yoga styles throughout the years and attended workshops with Rodney Yee, Ana Forrest, John Friend, Tias Little, and David Swenson. She enjoys practicing all styles of yoga, but fell in love with the Ashtanga lineage and was certified by Tim Miller to teach 1st and 2nd Series of Ashtanga Yoga in 2008. Cristina feels that yoga has enhanced her life in many ways and loves to share the beauty of the practice. Morgan Chambers Morgan has been teaching yoga nationwide since 2012. Fueled by a passion for outdoor adventure sports, she specializes in guiding yoga to complement active lifestyles. Her training is primarily in alignment based yoga and vinyasa flow yoga. She has additional continued education in restorative yoga and Ayurvedic studies. She received her RYT-200 from Wilmington Yoga Center in Wilmington, NC and holds a Bachelor of Science in Environmental Sciences and Bachelor of Arts in Spanish. Off the mat, Morgan works seasonally as a professional trail maintenance worker for the National Park Service. If you'd like to thoroughly balance your day, come check out a class with Morgan! Kira Gilmer Kira grew up in the Pacific Northwest and started practicing yoga in 2005 to help rejuvenate her body and spirit from a physically and mentally demanding career as a trauma critical care nurse. After a decade of nursing, she decided to pursue her passion for the study of yoga. Kira completed her 200 hour yoga teacher training at 8 Limbs Yoga Centers in Seattle, WA with teachers Anne Phyfe Palmer, Melina Meza, Chiara Guierri and Jenny Hayo. She furthered her vinyasa training with Eddie Modestini and Nicki Doane and core vinyasa training with Sadie Sardini. After moving from Seattle to Taos, NM, she then specialized in prenatal/postnatal yoga at Tias Little's studio in Santa Fe under Linda Spackman. Kira continued her prenatal training with Matrika Prenatal and obtained her certification for Registered Prenatal Yoga Teacher with the Yoga Alliance. She is currently working towards completing her 500 hour RYT certification at 8 Limbs Yoga Centers. Her classes focus on breath, alignment, and sequencing to create a safe, sustainable practice for all stages of life. Dru Erin Dru is a yoga living, animal loving, creative, flowing through the undiscovered liquid of what we humans call life. Aspiring to inspire, working to help my fellow souls find their own inner light and peace. She is a 200 Hour Registered Yoga Teacher with a Bachelor of Fine Arts specializing in Professional Fashion & Lifestyle Photography: Brooks Institute. Erin Koehler Erin first began practicing yoga in a university class over twenty years ago. She graduated in nursing and worked as a registered nurse in various disciplines including geriatrics, oncology, and cardio-thoracic intensive care. Years working in health care settings and some personal health challenges inspired her to get into a regular practice of yoga, where she happily found relief from chronic back pain. In continued studies and practice, she found great benefits from not only the physical postures (asanas), but also from the breath work (pranayama). During her 500 hours of yoga teacher training, she was exposed to Ayurveda, yoga's "sister science.” She loved this individualized style of medicine, aimed at providing balance and wellness primarily through food, herbs, and lifestyle practices. She is Certified as an Ayurvedic Health Educator and is currently in her Ayurvedic Health Practitioner internship. Cheryl Petersen (Meditation) Cheryl is a certified Ananda Meditation instructor, and high school counselor. She has been involved in personal and professional development in the counseling field for over 25 years. Cheryl has been practicing and studying meditation and Tai Chi since the summer of 2012. What started out as a means of stress reduction evolved into a new way of life; learning what it truly means to live in the moment (vs. the past or future, or the endless “in-box” at work), and finding peace and joy at home and in the work place. And, of course, greater health. Cheryl is now committed to teaching meditation and mindfulness as a second career. She is honored to be part of the Mountain Sol Yoga teaching staff, and to be facilitating Community Meditations. Those with experience are welcome, as well as beginners. Learning to quiet the “monkey” mind and still the body in an inward state of relaxation is a challenge but a skill that can be developed with regular practice & support. Bolsters, blankets, & chairs are available to ensure that everyone is comfortable while sitting for meditation; regardless of age, or physical limitations. If you have questions and/or are interested in a more formal Intro. to Meditation & Mindfulness class, please email Cheryl at ROLmeditation@gmail.com (Range of Light Meditation). Shelby Pracht completed her Yoga Works 200 Hour Teacher Training in June 2018. Shelby started gymnastics at the age of three and trained for 15 years and competed as a level 10, representing her home state of Alabama at the Eastern National Championships. She coached gymnastics for 6 years working with all levels from toddlers up to level 10s. After moving to the Sierra, she began training hand balancing and acroyoga. She loves taking her gymnastics skills into standing partner acrobatics and her coaching skills into helping yogis and acroyogis perfect their inversions. Derek Rieger started his yoga practice for a Women's and Gender Studies assignment while studying at Cal Poly, SLO in Fall 2012. After completing his 200 hour Yoga Teacher Training through Black Dog Yoga in Sherman Oaks, Derek moved up to live in Mammoth year-round. His other body practices include skiing, climbing, and acro yoga. He has been skiing for 22 seasons, teaching at Mammoth Mountain for 4 seasons, and is a certified PSIA Alpine Level 1 Instructor. He has also been climbing for 3 years and practicing acro for 4 years. Derek has found passion in both the healing arts and extreme sports, with the ultimate goal of becoming a licensed wilderness therapist. Nicole Roebuck is an RYT 500 who discovered yoga and the healing arts through her active lifestyle and the injuries that came from it. A native of Santa Barbara, California, Nicole grew up with a deep connection to the ocean. She fell in love with surfing and snowboarding while pursuing her BS in Psychology at UC San Diego and raced competitively on their undefeated Ski and Snowboard Team. Nicole has most recently completed her advanced Therapeutic Yoga training w/ Cheri Clampett and Arturo Peal, and is keeping her racing roots alive by teaching Therapeutic Yoga for the Mammoth Mountain Ski and Snowboard Teams. She also completed her 500 hour RYT in Peru and Bali, trips of a lifetime, w/ renowned yogi Deborah Koehn and Yoga Adventure. Scott Saltsman has a heart centered and healing approach to teaching. He believes that aligning breath with movement is an essential part of a healthy lifestyle. He is a graduate of the College for Creative Studies in Detroit, Michigan and was a graduate student at the California Institute of the Arts. Scott has devoted his life to the study of color and movement, specifically how it relates to staying creative, centered & grounded amidst the chaos of the post-modern world. For the last 16 years Scott has lived in the Sierra Nevada mountain resort town of Mammoth Lakes, CA sharing his Joy for life by guiding yoga, coaching ski racing and living an active California lifestyle. Ranae Scott is an incessant mover and learner. Her yoga journey began a decade ago, during a dance performance hiatus, when her body craved the exploration of shapes and flow. She immediately noticed the physical benefits of asana, and continued to practice daily, even as dance performance—and eventually dance instruction, coaching and choreography—became her day to day. As she began to delve deeper into yoga philosophy, her asana grew more compassionate. Rather than constantly sacrifice energy to the pit of self-doubt and competition, she began to use asana as a vehicle for self-study; a balm for anxiety and depression; and a discipline in love. 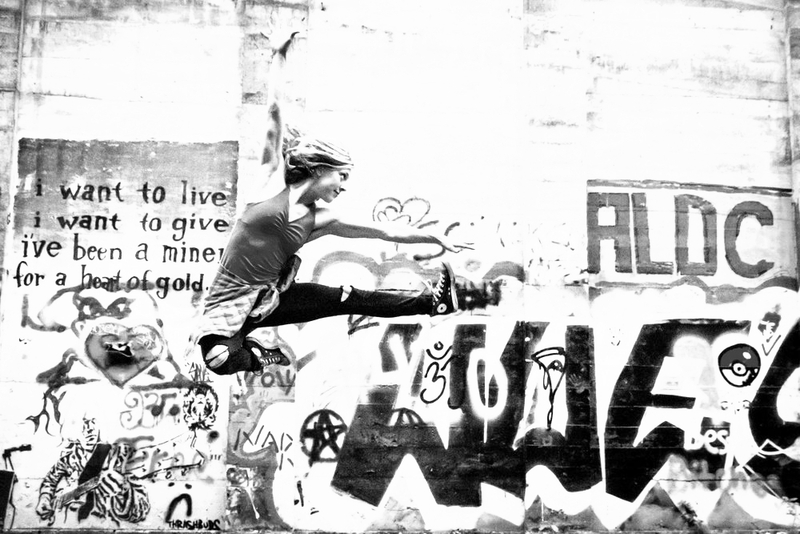 She continues to practice intentional and liberating movement in other forms: dance, rock climbing, trail running. Yoga remains an omniscient teacher in it all—her continual reminder to refine intention, expand awareness, and cultivate and share joy. Currently, Ranae is working on a community and accessibility project called Dirtbag Yoga. Check it out at facebook.com/dirtbagyoga. Sara Sektnan is a registered yoga instructor and horse yoga instructor. Sara completed her teacher training in Rishikesh, India with a focus on traditional hatha philosophy. By focusing on alignment and the physicality of an asana sequence, she combines the traditional hatha philosophy with the inspiration and silliness of Kathryn Budig’s teaching style. Sara believes that all life is yoga and practices every day with every breath. Her passion is taking yoga off of the mat and into nature and life; most importantly onto her horse. She is one of the first to instruct yoga on horseback, a meditative and truly connecting practice. It begins on the ground by simply breathing and feeling union with these intuitive creatures. This practice ranges from brushing, breathing, listening and simple asanas in the riding position to advanced postures (arm balances, etc). Sara teaches this from this place of kindness and connection. She is inspired by yoga to be playful and loving which translates into other areas of her life. Her classes are a hatha-based, vinyasa flow infused with a playful, positive and creative approach encouraging smiles and self-love. Connect with her on the mat and in life via social media, ig @yoga.horse, facebook Sara Sektnan. Kendi Thomas grew up in Greencastle, Indiana and attended Whitman College in Walla Walla, Washington. There, she swam competitively and is a decorated road and track cyclist, winning both individual and team national titles throughout her collegiate career. Upon retirement of all competitive sports she naturally transitioned to yoga as a personal care system and fell in love with the physicality of the practice. In October of 2016 she spent two months on Kauai studying at Yoga Hanalei allowing her to expand her spiritual practice and cultivate personal growth through chanting, philosophy and anatomy. Her classes are designed to take her students beyond their self-imposed limitations with emphasis on alignment and step-by-step progressions. She also studies Sanskrit and Patanjali’s Yoga Sutras and is excited to share her knowledge and foster growth in the Mammoth yoga community. Meagan Tyler found a passion for studying yoga due to its holistic healing benefits. She discovered that treating herself with self care, making conscious decisions and bringing total devotion to her practice (on and off the mat) changed her outlook on life itself. Meagan believes that yoga removes stress over time and reshapes our attitudes, views and thoughts. She loves yoga because it not only allows her to grow as a teacher but as a student as well. She was certified in Samara, Costa Rica focusing mainly on Iyengar Style Hatha Yoga. In her classes, she is open to interpreting other styles and believes that weaving positive intentions with movement will make your body and mind happy. Meagan hopes to communicate a positive impact and help people experience a connection with themselves. She enjoys being outside with nature, enjoying sunrises and sunsets and embracing the phases of the moon. Neva West One of Neva's life purposes is to help facilitate healing in others through alternative therapies. She is an accomplished massage therapist who has been practicing for over 10 years. Along with massage therapy, Neva also discovered yoga to be one of the most profound therapies for body, mind and spirit. She has been practicing yoga for over ten years. She has trained with Yogis in Thailand, northern India, Mexico and the U.S. Neva blends the skills she has learned from these teachers with her own unique style. She strives to help settle the mind and restore the body through breath work and movement. Neva received her yoga teaching certification from the Yandara Yoga Institute in Baja, Mexico in 2014. When not working you’ll usually find her outside either rock climbing, mountain biking, hiking, or snowboarding.